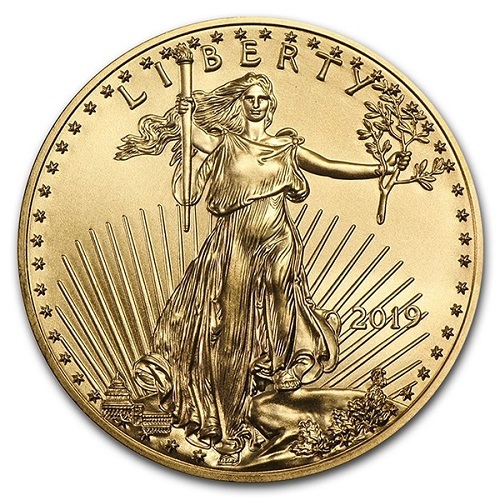 The American Gold Eagle is a 22k (.9167 fine), U.S. Gold coin. 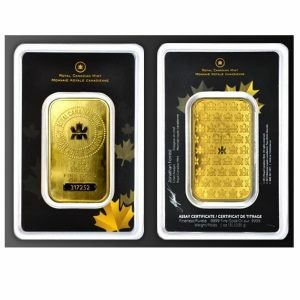 Containing one full troy oz. 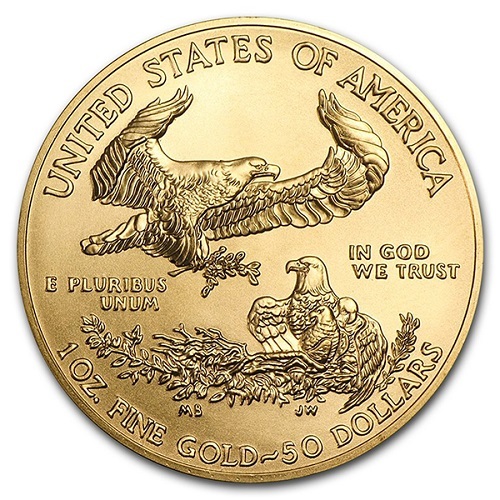 of gold, Gold Eagles bear a nominal face value of $50. 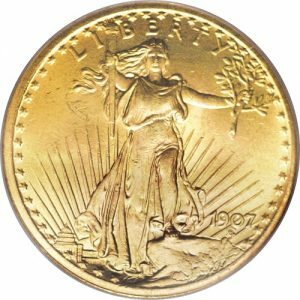 The obverse depicts Lady Liberty, with her flowing hair, walking against a backdrop of the sun’s rays. She holds the torch of freedom in her right hand and an olive branch in her left. At the top of coin is the word LIBERTY. To her left (our right), towards the bottom, is the date of issue. The US Capitol building is seen at the lower left. The coin is ringed by 50 stars, representing the 50 states. 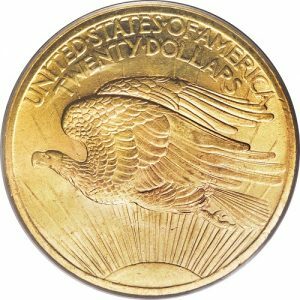 The reverse was designed by sculptor Miley Busiek. It features a male American Bald Eagle, carrying an olive branch, flying above a nest containing a waiting female eagle and her hatchlings. Gold Eagles are also available in 1/10 oz ($5 face), 1/4 oz ($10 face) and 1/2 oz ($25) denominations. Increments of five hundred (500) coins are shipped in US Mint- sealed Monster Boxes. 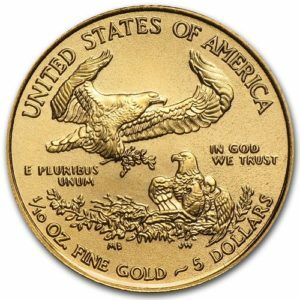 In addition to the listings here, we also carry back date American Gold Eagles, as well as PCGS and NGC certified coins (bullion AND proofs). Call us at 503.213.3352 for current inventory and pricing.